Just five years ago, more robberies were reported in the area of Belmont and Sheffield in Lakeview than any other intersection in Chicago. Thanks to efforts by local police and residents, Belmont and Sheffield now sees only a fraction of the crime it used to experience. So, where’s the new place to go if you want to be robbed on Chicago’s North Side? Our hunch is that the intersection of Chicago Avenue and State Street on the Near North Side is probably not #1, but it's undoubtedly a top contender. 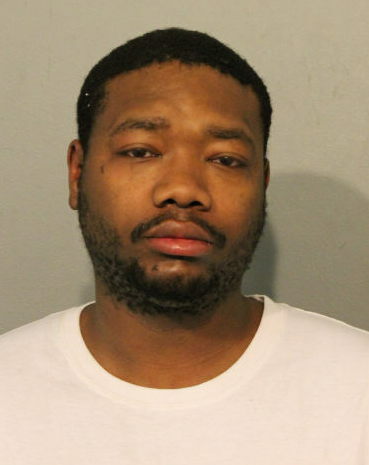 Around 10 p.m. last Monday, police arrested 30-year-old Antonio Lee after a man was beaten up and robbed of his phone in the first block of West Chicago. A delivery driver who saw the mugging unfold told police that Lee and another man ran to a nearby McDonald’s after the robbery, according to police. “There they are,” the witness said as Lee and his companion emerged from the restaurant. Police said the victim, who suffered an injured knee and cuts to his forehead and lip also identified Lee. The victim’s phone was found in Lee’s jacket pocket, according to police. Prosecutors charged Lee with felony robbery and Judge John Lyke set his bail at $50,000. No charges were filed against the second man, according to court records. • Last Thursday, a man reported that three offenders held him at gunpoint and robbed him of his phone and wallet at the State-Chicago Red Line station at 1:50 a.m. The offenders fled and remain at large. The primary offender was a black man in his 20’s who wore a red and black jacket, according to the victim. Support CWBChicago's reporting team with a monthly or annual subscription. Members-only perks await!